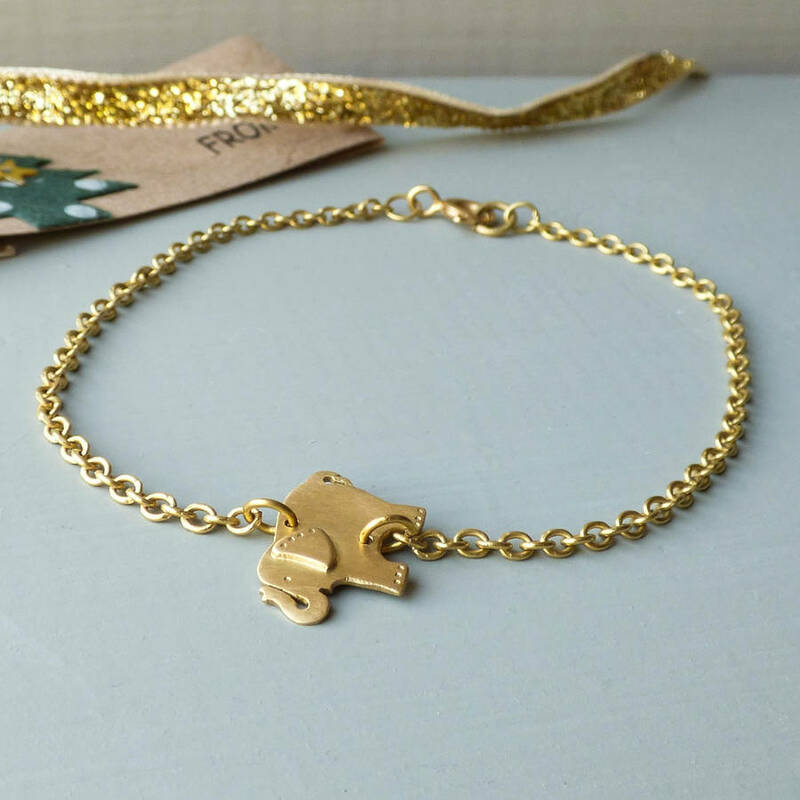 This enchanting Ethical Ellie elephant bracelet will gently encourage you to find your inner strength and help save the elephants too! She is part of my Animal Amulets Collection which is inspired by the Ancient Egyptians who wore jewellery primarily as protection. Elephants are the ambassadors of ancient wisdom, nobility and fortitude. 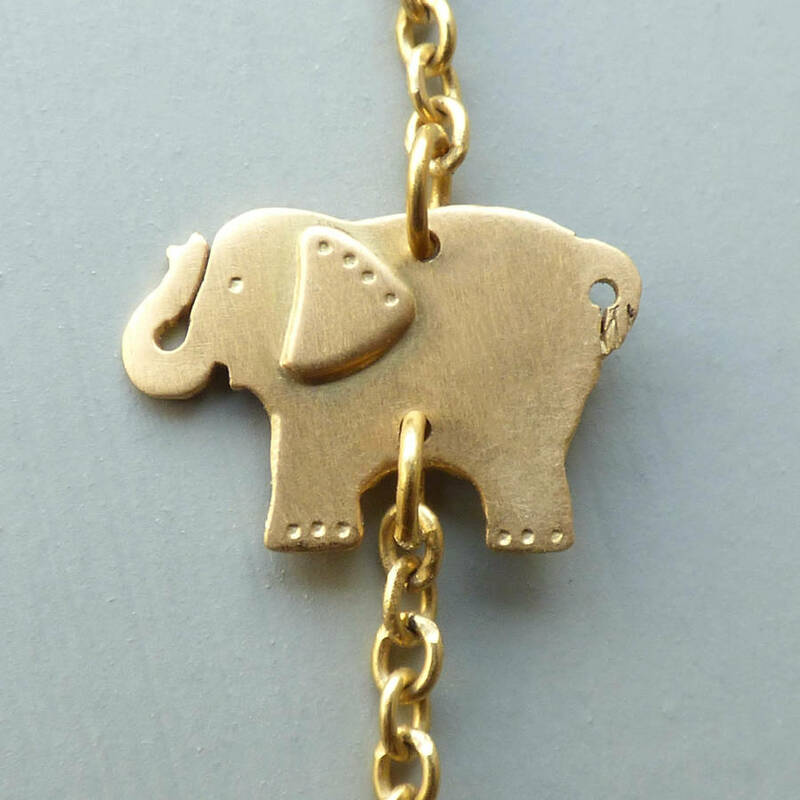 When the trunk points up it brings luck to the wearer. They are loyal and loving creatures to all whom they form relationships with. When a baby is born the whole community gathers around the mother and new born to rumble with joy...awww! Sadly, these divine friends of ours are heading towards extinction and so I donate 10% of the profits to the sheldrickwildlifefund.org, who care for orphaned elephants. Ellie is handmade, with love, in my Somerset studio using Fairtrade gold and medium weight gold trace chain. 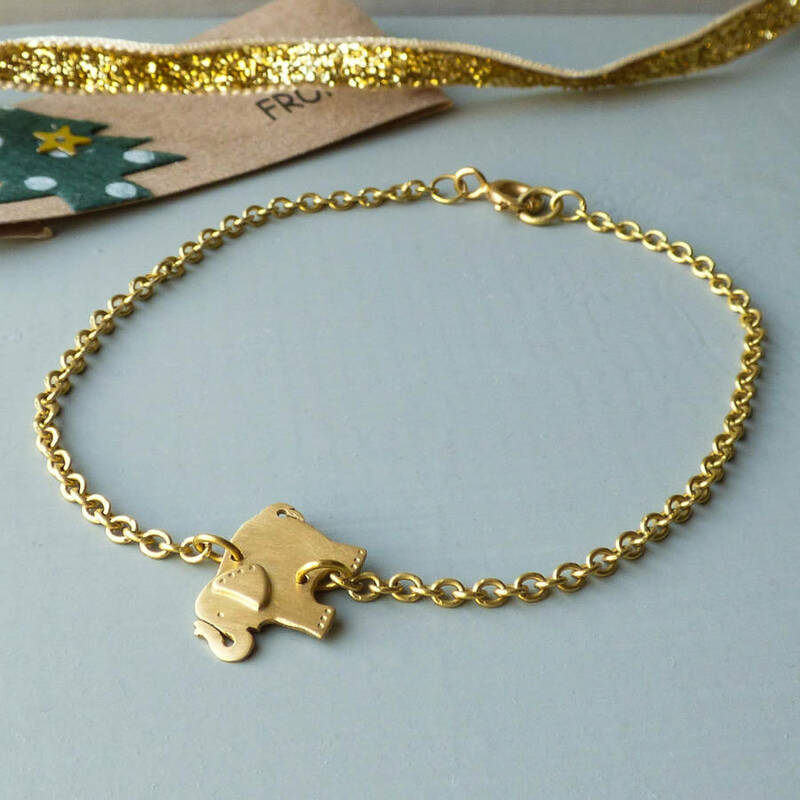 By choosing this ethical bracelet made with Fairtrade gold you are making a difference in the lives of artisanal miners, their communities and the environment. Giving them a sustainable future with gold that is fully traceable and produced responsibly.